A guide to our headboards – which headboard would you choose? Last week we spoke to you about how to mount a headboard to your bed. However this still might not have helped you to decide which style of upholstered headboard you might actually want to mount. So we thought that we would introduce you to all of ours. That way deciding which handmade upholstered headboard might be the one for you will be like a walk in the park. Now we have told you a little bit more about the ways of mounting an upholstered headboard, you should understand this a little more than before. Deeply can come as either an Integrated or Non Integrated Headboard. If you’ve just joined us, have a look at the differences between the two in the last blog post. Deeply is both luxurious and contemporary at the same time and made by our skilled upholsters at our workshops in Nottingham. We say pick deeply for a French Chic or Luxury Hotel styled bedroom. Buttons is ever so slightly subtler than deeply. If you want to add a touch of feminine luxury to your room then this is probably the one for you. It certainly shouts statement headboard, just a little more quietly. 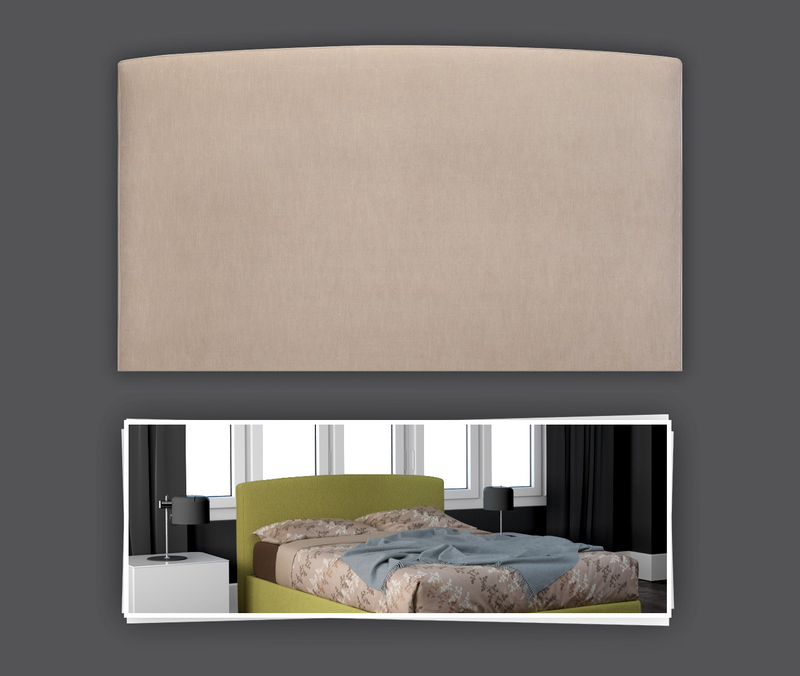 It can come as either an integrated 60cm height or as a non-integrated headboard and in two different heights. They come in either 60cm or 90cm, which means the usable height above the mattress. Just remember that the 90cm headboard would have to be mounted to the wall. Again this upholstered headboard can come as integrated or non-integrated and the same rules as the last one still apply. Lines is a little more contemporary and fits in perfectly with a New York loft style apartment. Of course it’s also very well suited to a modern industrial style for that matter. It certainly helps to elongate the room too. So if your room is narrow then this is perhaps the one for you. Perhaps the most stylish of our headboards, Mondrian would certainly be the showstopper in your bedroom. Whether that be ultra modern or lux glam, this headboard will work for you. Due to it’s wooden surround, Mondrian works best as a Non Integrated headboard. Due to the two heights, you can either have it non integrated or wall mounted. The higher of the two at 105cm, wall mounted of course, really gives you the wow you may have been hoping for. Simplicity is sometimes the best. 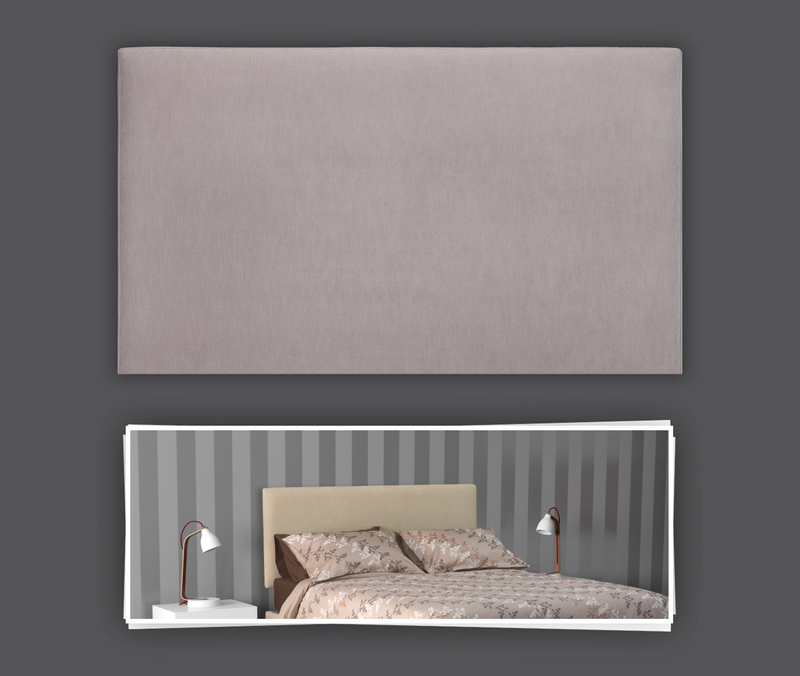 Our standard headboard is just quite simply a plain rectangular headboard. It finishes off your bed perfectly, giving you the opportunity to use a funky wallpaper. Or smother your bed with different patterned cushions. 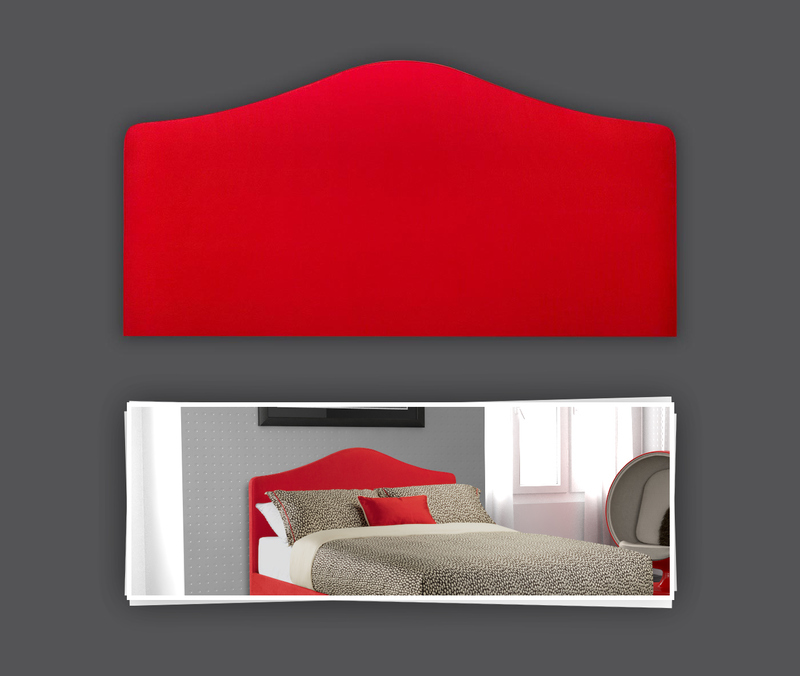 Standard can come as an integrated, non integrated or wall mounted headboard. So you can find the perfect fit for your room. If you have a wow factor wall paper, we would suggest the 60cm size to allow enough of your wallpaper to be seen. 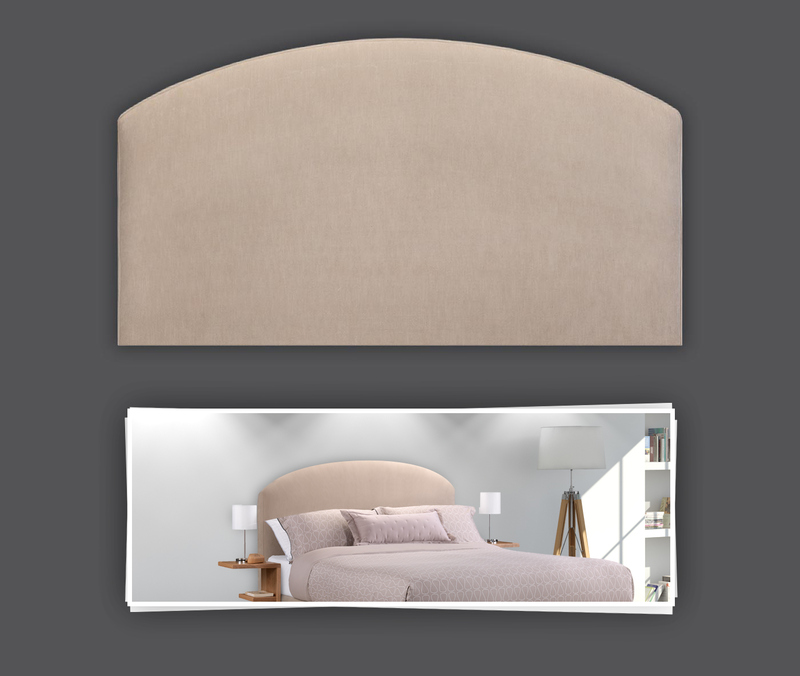 Dune gained its name from the soft sweeping curve that romantically finishes the top of the headboard. Slightly more traditional, this style is well suited to a feminine room. It compliments that French chic style beautifully. 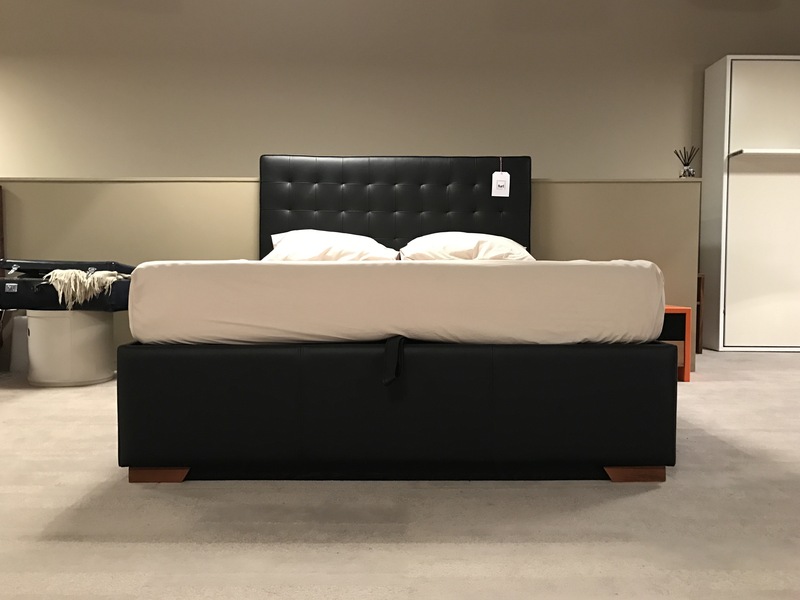 Our Dune headboard looks particularly good on our Air bed base as this is also soft in design. Dune can come as integrated or non integrated. However we would recommend sticking with integrated for this one, as otherwise the sides might feel a little low. This soft curve takes the edge off all of those other straight lines within your bedroom. Our chunkiest headboard at 10cm in depth, Horizon is certainly a popular with those looking for a comfy bed in a comfy looking bedroom. Due to the larger depth, 10cm as opposed to all of our other headboards at 6cm, Horizon has to come as an Integrated headboard. There are two heights though, 50cm and 70cm. Remember that means the usable height above the mattress. For our lower beds we recommend 50cm, and for our higher beds 70cm. This keeps the upholstered headboard in proportion to the base. A curve slightly more rounded than that on the Horizon, this headboard is perfect for those who wish to break the straight lines without being too chunky. Romantic and delicate, Curves is perhaps a little more traditional in it’s style. Curves can be mounted in all three available ways and again has two heights, the highest of which needs to be wall mounted. The name gives this one away. Gentle is known for its soft gentle curve and boy is it that. The softness of this headboard works with all styles of room design. Whether that be traditional, rustic, modern or luxury. If you are looking to save space, as this design tapers off slightly at the ends, the headboard visually looks space saving. Of course by going for the non integrated version you will save in more space within a small room. If you are lucky and have a little more room, this headboard is available as both integrated, non integrated and wall mounted. Last but by no means least, is our headboard Squares. Now Squares is actually incredibly similar to buttons and buttons can also be made with the stitching that squares is too. They are priced the same as well, so if you can’t find one on our website, you know to price it as the other. 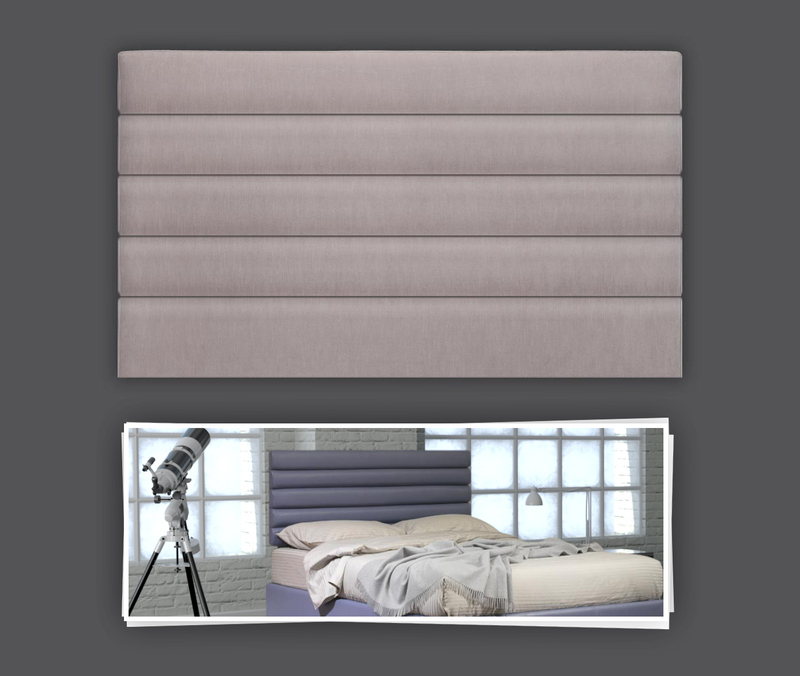 This design works perfectly in modern, perhaps contemporary industrial rooms and can also come as an integrated, non integrated or wall mounted upholstered headboard. 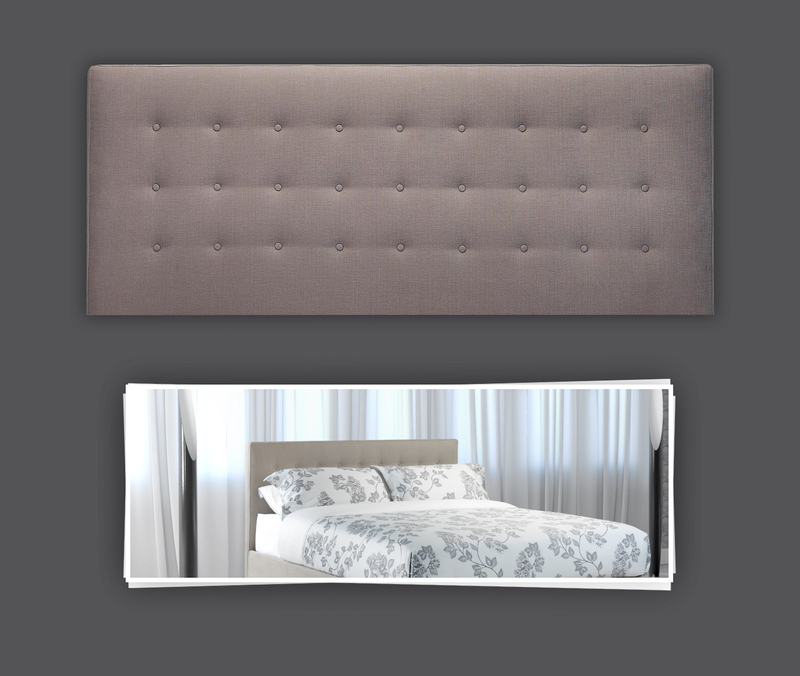 So which upholstered headboard would you choose? 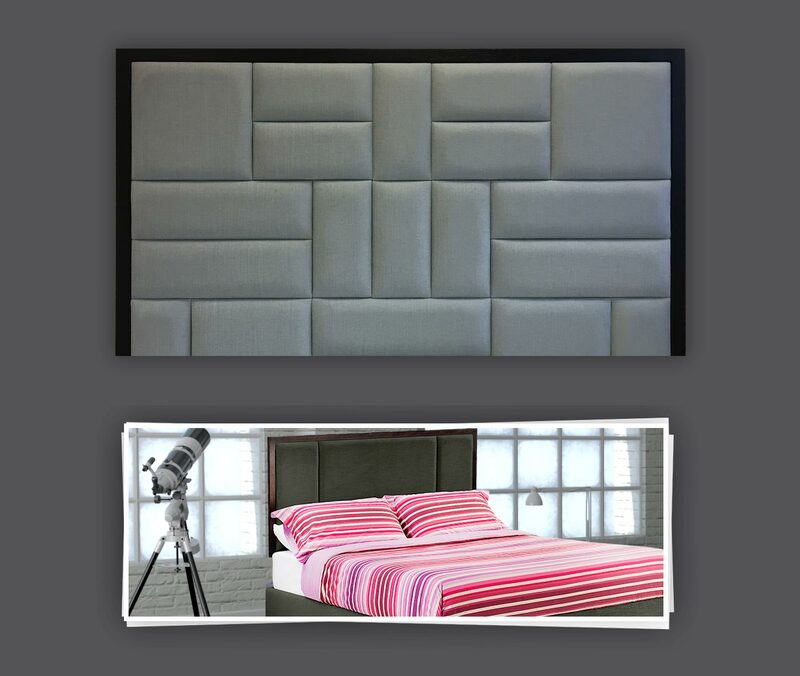 Remember all of our headboards can be made in any fabric that our beds can be made in. That includes linen, wool, suede, velvet, woven fabrics, pattered fabrics and of course leather too. We have our full range of fabrics available to see and touch at our showroom in London. 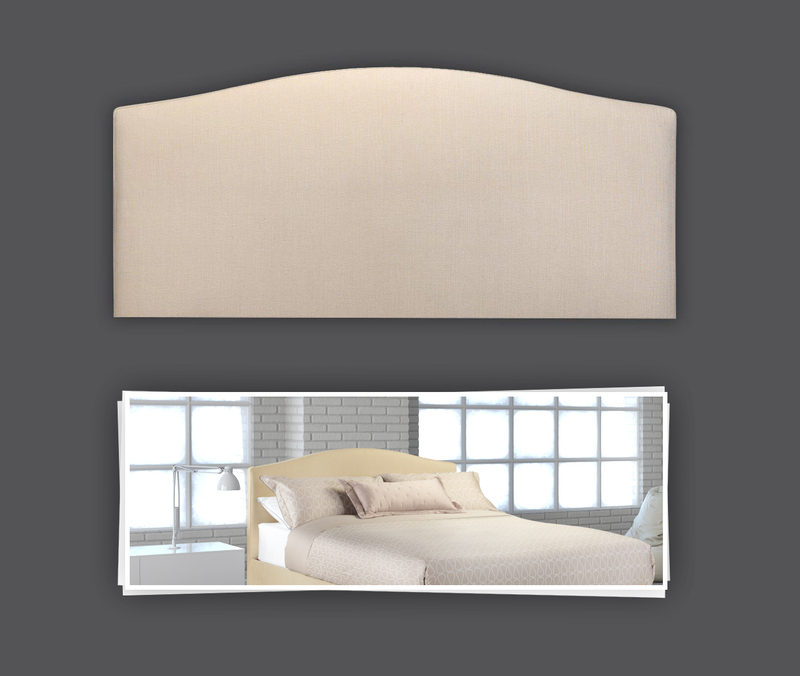 All of our headboards can also be attached to any of our bed bases, so everything is interchangeable. 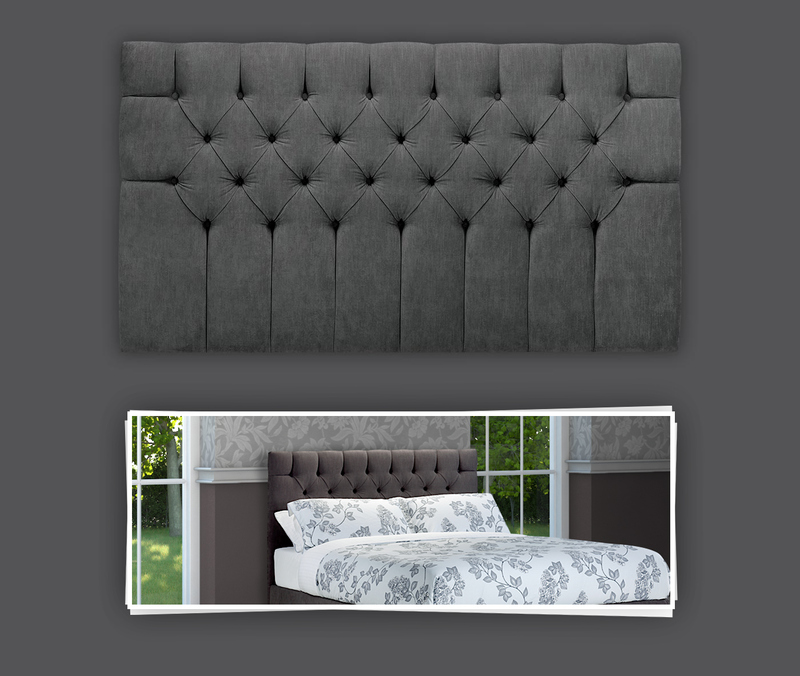 So which upholstered headboard would you choose?